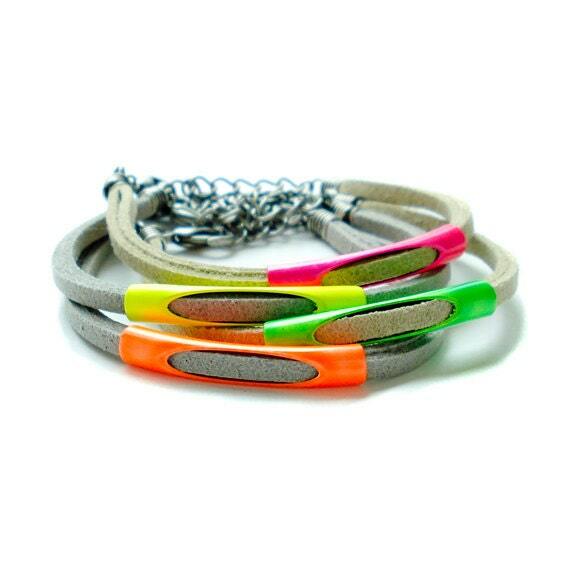 Make your day little brighter with this Neon Pipe Bracelet! 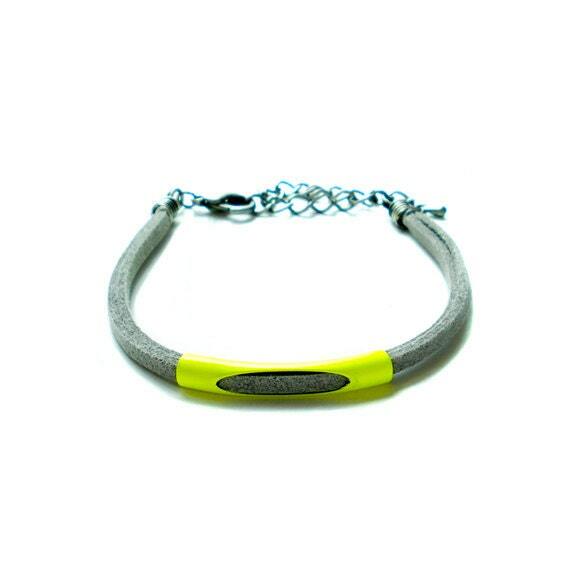 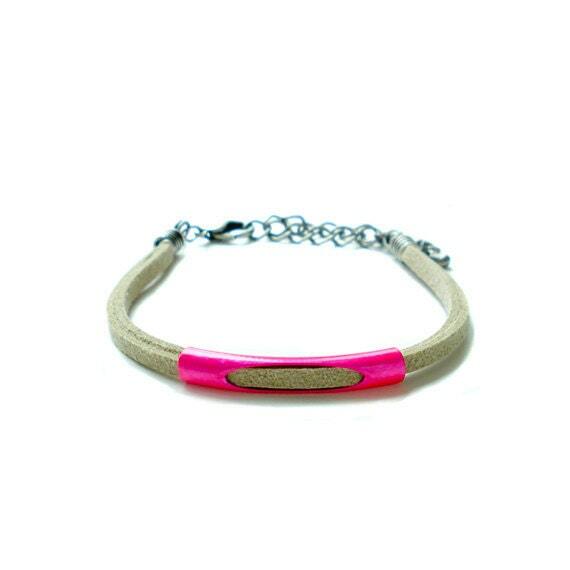 Outstanding color block bracelet that is simply yet tastefully put together. 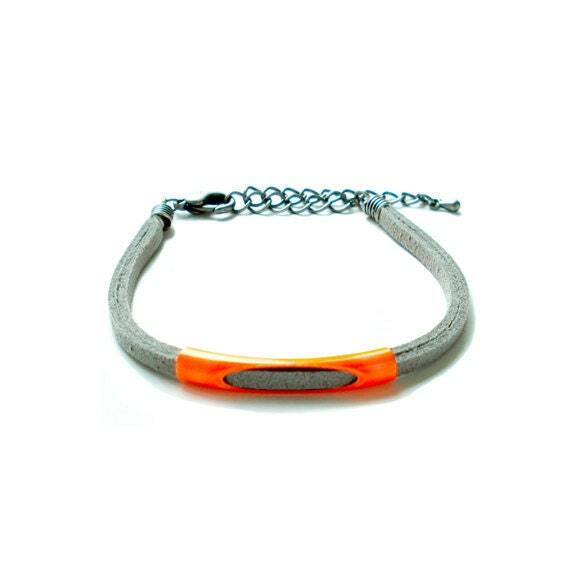 Enameled Neon Metal Pipe and Neutral Suede String combination.